Osteopathy is a form of manual medicine that focuses on restoring an imbalance within the body. This imbalance can manifest itself in symptoms such as abdominal pain, headache, restlessness, or for instance a poor posture. One of the main principles of osteopathy is that the body is viewed in its entirety and that the self-healing capacity of the body is stimulated. Osteopathy involves the investigation of the underlying cause of the complaint. That cause is not always co-located with the complaint or pain. With careful manual therapy, the osteopath will discover and treat the movement limitations in the body and its causes. You could say that the osteopathic approach provides the space to become healthy! Our body carries out infinite movements. These are not only conscious movements such as walking and lifting, but also many unconscious movements. For instance the myocardium contracts a 100,000 times a day and our chest moves 20,000 times up and down when breathing. Even organs that we rarely consider are constantly moving. The kidneys for example are crossing a distance of 600 meters a day by following the movement of the diaphragm. All these movements affect each other. When one part of the body is hampered in its mobility, it can cause discomfort somewhere else. This is due to the fact that all parts of the body are connected to each other by nerves, vessels and muscles. For example, a shoulder complaint can be related to a liver problem and babies can have colic and can be crying a lot because their skull has been trapped. Motion limitations can be caused by an accident, illness, surgery, stress or poor diet. Sometimes it takes a long time before symptoms arise from such a trauma, since the body will first adapt to a problem. If this compensation mechanism over time can no longer be sustained, complaints arise. Restoring the mobility of the tissues leads then to restoration of function and balance. Osteopathy is based on the relationships between anatomy, physiology and embryology. Osteopathy can be considered as a genuine form of medicine, based on comprehensive medical reasoning and scientific insights. 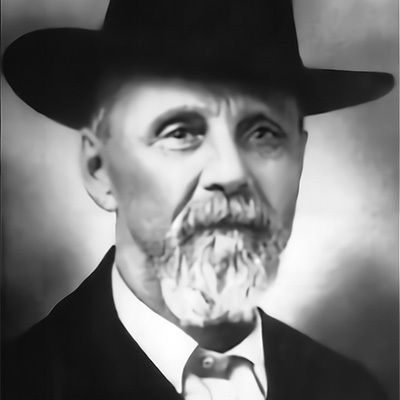 The founder of osteopathy is the American doctor A.Taylor Still. In response to the symptomatic treatment of the medicine at that time, he developed osteopathy. A therapy in search of the underlying cause of a complaint and the mobility of the tissues. 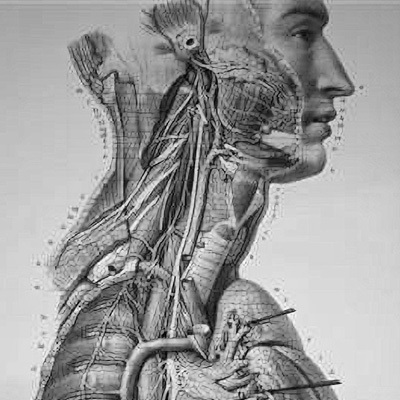 During his lifetime (1828-1917) he built an enormous anatomical knowledge base through his work as a surgeon. He combined his classical training with new insights and discovered that connective tissues, that connect bones, muscles, organs, vessels and nerves are of great functional value. He examined the coherence and mutual influence between the various body systems, and found that a failure in one system could cause problems in the other system. Since then osteopathy was further substantiated and developed. In the United States it became legally equated with regular medicine since 1966. Via England and France osteopathy became also known in Europe. The Netherlands has its own five-year educational program. All students have completed a training as a doctor or physiotherapist and thereby ensure a strong medical basis.